Formed in 1989, Newton-Barr has been a notable presence in the corporate and individual advice space for a considerable time and as such, has vast experience in guiding clients through the many financial challenges they’ve experienced on both a micro and a macro level. 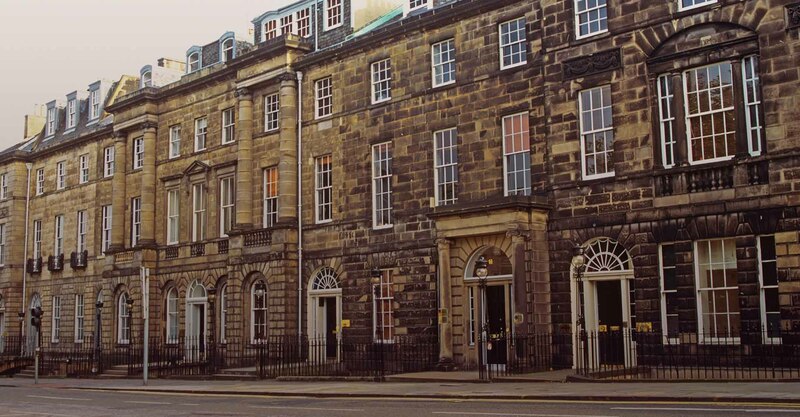 Initially providing specialist pension advice to small and medium sized businesses, Newton-Barr truly marked its arrival in 1990 when we provided strategic pensions advice services as part of what, at that time, was the largest management buyout in Scottish corporate history. In the period since we have become established as one of the largest and most respected regional players in the employee benefit space with clients ranging from small local businesses to FTSE companies. Combined, our client facing staff alone have over one hundred years of experience in providing advice to both businesses and individuals. Though unashamedly Edinburgh based, our clients are spread throughout the UK. Over the years we’ve benefited from the deposits we’ve made with HR and Finance managers who, when progressing their own careers, have been good enough to take us along with them on their journeys throughout the length and breadth of the country. The experience we had with these same people convinced us, back in the mid 1990’s, to widen our work in order to provide individual planning advice on the often complex and fragmented range of pension products our clients would accumulate during their careers. The spirit of this work was and is captured by our ‘cobbler’s bairns’ campaigns. Through these campaigns we focus our energies on those self-same HR and financial managers whose jobs entail making decisions, often on multi million pound budgets but whose personal inventory of financial products had become somewhat neglected. Since that time we have accumulated a large and very loyal body of individual customers who value the particular style and philosophy which marks the way we handle private client inventories. ‘My business started using Newton-Barr when they were formed in 1989. At the time, they were in a serviced office in Leith. We were conscious that we were taking a bit of a chance. Running with William Mercer or Punter Southall would have been easier to justify to my colleagues. We were right to take the chance. My business still uses Newton-Barr. On one level, our work mirrors that of all credible Employee Benefit providers in that it captures the design, installation, maintenance and communication of pension schemes and all related employee benefits on behalf of employers. Where our work would differ from many of our peers however is in the emphasis we place on the employee experience. It’s our view that, though all non-salary benefits have an intrinsic worth, that worth is often undervalued (or indeed un-noticed) by staff. As such, whilst we believe that a typical employer spend on non-salary benefits always carries some level of utility, we also believe that much greater mileage can be gained in terms of employee satisfaction, by careful, targeted communication. This, in our experience, is best done at the coal-face; in the place of work and face to face. Countless Employee Benefit surveys have shown that employees react favourably when there is human interaction which explains and perhaps demystifies some of the often complex detail of Employee Benefit provision. We therefore place emphasis on the provision of on- site service and as a result our employers routinely report a greater sense of employee involvement in, understanding of and appreciation of their ‘softer’, non-salary benefits. Newton-Barr basically get my job. I’m busy and need to have our employee benefits communication kind of laid on a plate for me. So, when they tell me I’ve got to inform staff on a particular, say, pensions matter, I love that they don’t just describe the task but they give me the specific words to use. They basically just get it. We channel our individual advice work primarily through Charlotte Square Partners Ltd and we of course, host the private client work of Brett Investment Ltd – the pre-eminent advice firm in the Scottish Borders. However they choose to engage with us, our clients tell us two things about the work we do for them. They tell us that we go to great lengths to truly understand not only the hard facts of their situation but also the subtler nuances. This understanding, in your view, creates context and a robust frame of reference within which our advice can be delivered. Our clients also tell us that, when communicating our ideas, we use a language which is straightforward and devoid of the often impenetrable ‘product speak’ which the financial sector is renowned for. This client-centric philosophy is married to a use of the latest technologies to ensure our private clients have an experience which is both personal and current. When it comes to investing on behalf of clients, philosophically we are believers in evidence. Though this may seem to the uninformed investor somewhat self-evident, the reality is that many advisors still undertake (and of course, charge handsomely for) work promising outcomes which may seem intuitively plausible to the investor but which fly in the face of pretty much all academic evidence. Self-preservation in the advice community drives this and we understand that. However, we prefer to have a more transparent relationship with our customers; a relationship which is supported by evidence. To us, it’s axiomatic therefore that our fees are reflective only of the services we can deliver – not on an unsupported, aspirational notion of what we might deliver. When I leave a meeting, my head isn’t buzzing with lots of technical-speak. The language that’s used is my language. I can go home and tell my husband what was discussed and I make sense! I like that.